585 Aileen Street, Presented by Helene Barkin, Broker Associate, The Grubb Co. 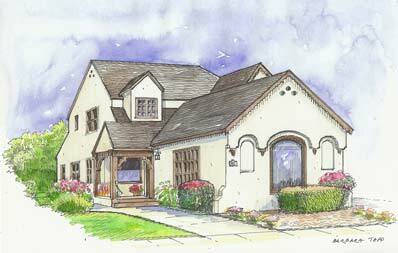 This elegant Tudor is located in a picturesque neighborhood of architecturally beautiful homes in Oakland. Not far from the popular Rockridge shops, restaurants and public transportation, it is well located. The very spacious and light filled living room with vaulted ceiling, wood beams, and beautifully carved mantel provides a beautiful space in which to live and entertain. There is a formal dining room and a kitchen with an adjoining breakfast room.